I am a college student at North Seattle College in their Mechatronics program. 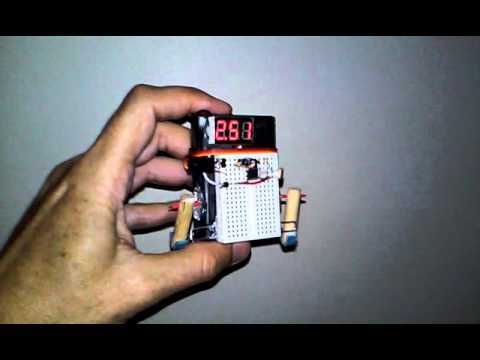 I am about to finish up my first robotics course that utilized the ActivityBot 360. I have had a ton of fun with this class. 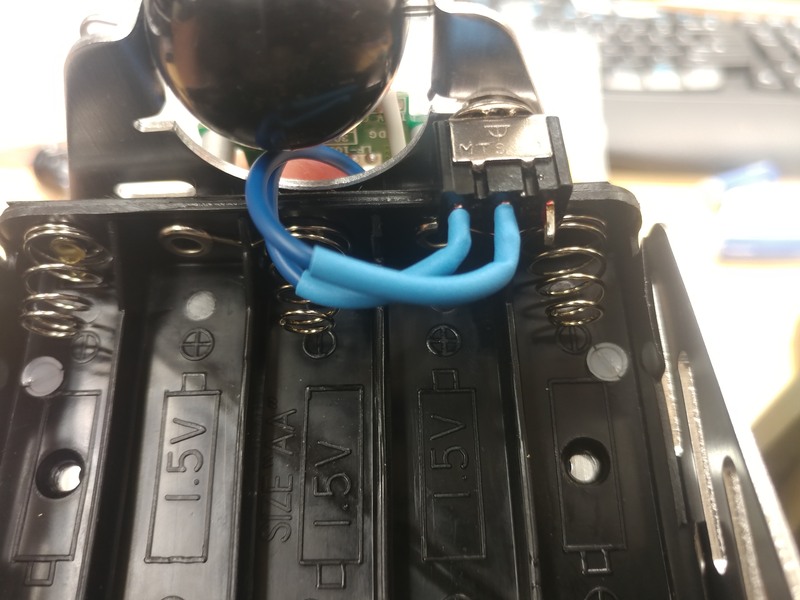 Along the way I got a hold of a LED voltage panel that I decided to connect to my AB360 so that I could see what my voltage of my batteries were when I started using the servos a lot. 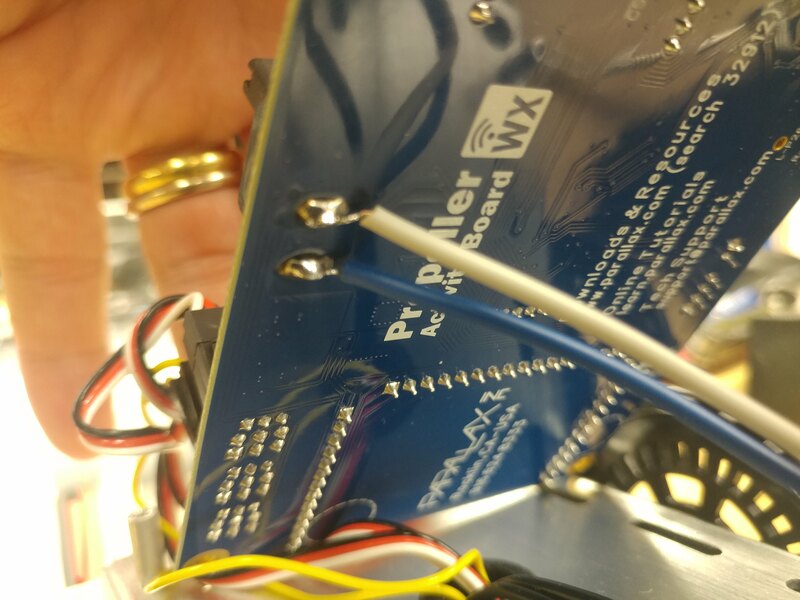 I used an old toggle switch to wire it into the main power connection under the board. It looks pretty cool and it rather functional. It does look cool. 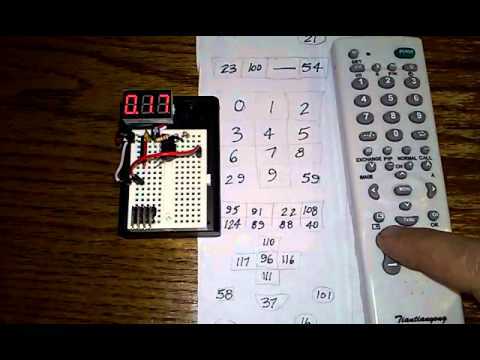 Nice neat wiring and good placement of the readout. Cool project. It's great to have that information readily available too; sometimes a robot will act "unexpected" with low voltage. That's pretty sweet! 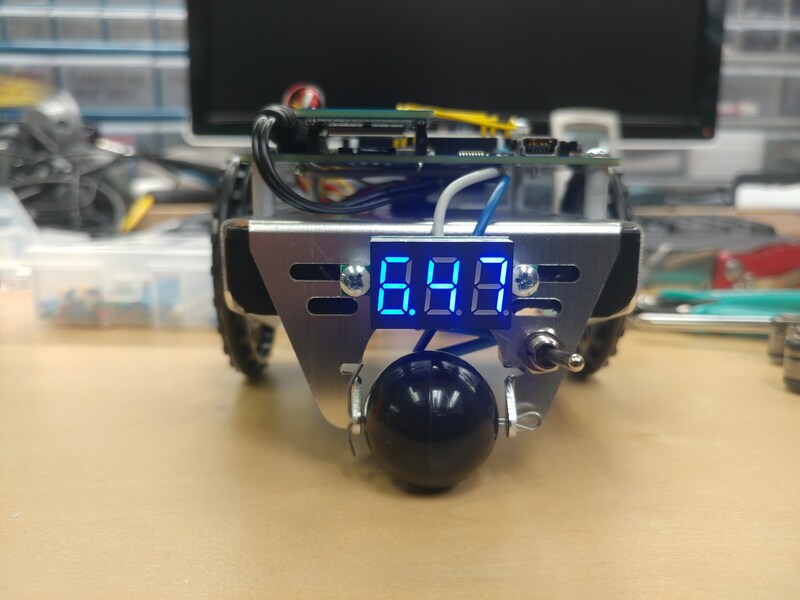 It looks good on the bot and would make a great little project for learning too. If you're in Seattle and into Robotics, connect with Carol Hazlett and her club. She runs Robothon in October. I'm also a fan of having an onboard DVM. I favor 3-wire types which can read down to 0 volts. 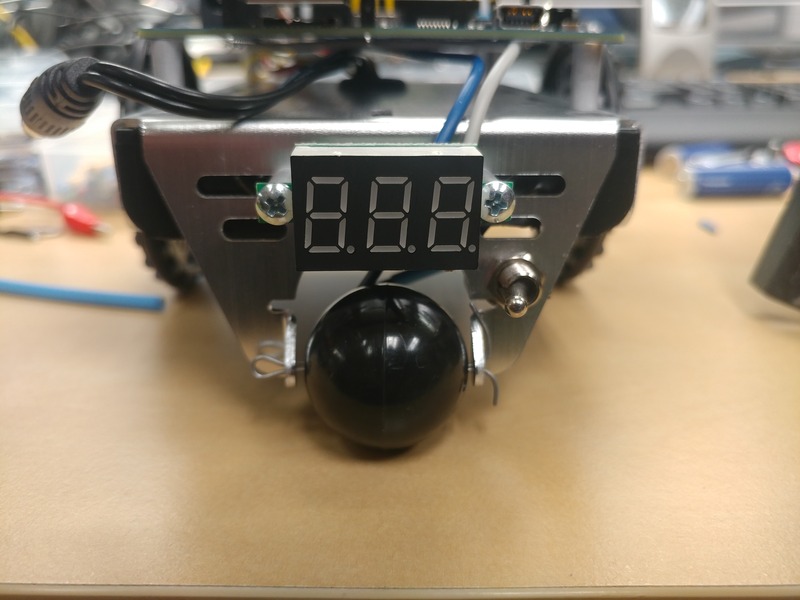 Besides monitoring battery voltage, they can display sensor voltages (first video) and in a pinch they can be used as a digital display (second video). Ordered four of these today - great idea and very clean installation!